Prey for Me by TR Fischer ~ Author Interview & #Giveaway!! Author TR Fischer is sharing an interesting interview, and an intriguing new release. PLUS – she’s giving away a book!! Patrick crouched behind Lacy in the cargo area behind the driver’s seat. The muzzle of his gun jabbed the nape of her neck. She followed his commands until she neared the end of Center Street. They were headed out of town. Her gut told her not to go. But her gut didn’t have a solution for the weapon aimed at her brain stem. On the other hand, if she did as he said, she would end up dead. Or worse. 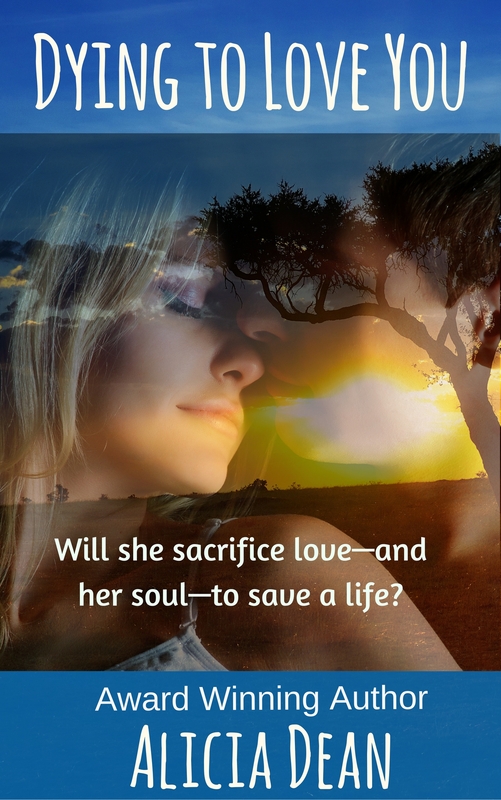 As Lacy ferried herself closer to that fate, fear somehow gave way to reason. Why wait? And why give Patrick the reins? If she died, it didn’t have to be at his hand. In fact, it didn’t have to happen at all. Like Roy said—he was only one man. She ran through her options. There was no way she could wrestle his gun away. But car wrecks killed people every day. Especially when they weren’t wearing seat belts. Hers was in place but Patrick was in an open space. Given the right circumstances, he could become a human projectile. “Turn left at the corner,” Patrick ordered. She bit back a cry, refusing to give him the satisfaction of knowing he’d caused her pain. “Do you want me to crash?” Lacy surprised herself with the harsh tone she used, especially given the dread this day had conjured in her mind for so long. But it was as though his abuse made a dam burst inside her causing all the emotion she’d fought so hard to contain to surge over the spillway. It all melded together into cold rage. Lacy let that go. “That was you at the coffee shop, wasn’t it?” She used a tremulous voice. It was important that he believe she was still afraid. And she was—just not of him. What she had decided to do was going to hurt. There was an upside to Patrick coming to Brookton. This was her town. She’d lived here all her life, knew every turn in every road. Lacy flicked on the left blinker and drove through the intersection, anxious fingers tapping the steering wheel. “How did you know?” Patrick sounded surprised. One advantage of having an older brother was what he had taught her about cars, particularly the rear wheel drive variety. Jack had driven a truck in high school. This would be like the donuts they did in snowy parking lots. Except for the part where she slammed into the tree. Even if it didn’t work, death by tree was preferable to death by Patrick. The van rounded the bend. Lacy hit the gas and sucked in a breath. She pulled the wheel hard to the right. The van creaked and bounced as it careened over uneven ground. Patrick lost his grip on her seat and slammed into the left wall. The gun clattered to the floor, giving her some measure of relief. My husband and I raise bison near Denver, Colorado. Our miniature beagle, Misty, pretends she’s a shepherd when it’s time to move the bison between pastures. We have four grown children who, like us, lead adventurous lives. Sounds amazing. I bet you live in a gorgeous area. Where did you get the idea for Prey for Me? Why did you choose this genre (is it something you’ve written in before)? Was there anything unusual, any anecdote about this book, the characters, title, process, etc, you’d like to share? What is the most difficult thing about writing a book? What was the most difficult thing about this one in particular? Prey For Me was my first book. The title is a play on words that stems from the relationship between my main character and her stalker. I came up with it early on and it stuck. The seeds for the story came from an intense dream I had. I wrote it in my journal. The motivation to move forward with it came from an impending change in my life. My husband was going to start commuting to work out of state and I knew I would need something to occupy me so I didn’t start binging or get addicted to late night TV. So, why not try my hand at writing? I wouldn’t exactly say I chose romantic suspense so much as it chose me. The story idea came to me and wouldn’t leave me alone. The scenes in my head left me no choice but romantic suspense. I enjoy writing this genre because I’m a suspense junkie and a romance buff. It’s like peanut butter and chocolate! What’s not to like? I’m a research geek. While working on Prey For Me, I interviewed several people who have medical knowledge beyond my own. That said, nothing is the same as real life experience. In one scene, my main female character is dehydrated. While I was polishing that scene, my son became dehydrated after a long day at an amusement park. He was unable to drive safely so his friends brought him home so I could take him to the ER. While I was very concerned about his condition, the trip there was rather entertaining and highly informative as to how dehydration can affect people. Suffice to say, I thought he was high. So did the docs…until they saw how he came back after some IV fluids and got his blood work back. The biggest challenge I faced was not having written a novel before. In truth, I’d never written even a short story. I had done a lot of business writing and it always came easy, but the idea of penning (or keyboarding) an entire novel was daunting. I relied on a critique group to help me see the flaws in the story and the weaknesses in my writing. Their input was invaluable. Making it to THE END and getting strong reviews from readers boosted my confidence. Your debut novel with no past experience? I’m impressed! Do you have another occupation, other than writer? If so, what is it and do you like it? I do hair for weddings and special events. It’s a lot of fun and gives me some great writing fodder. I cared for an elderly spinster who lived all alone in a large mansion. There was a tiger skin on top of her grand piano. Her family was a founding family in our town and I was fascinated by her personal and family history. Fascinating! You’ve had some great experiences. 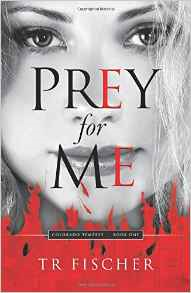 What do you want readers to come away with after they read Prey For Me? An appetite for more of my books! Ha, that’s excellent! What genre have you never written that you’d like to write? I think I have at least one literary fiction book waiting its turn to be written by me. They come from my imagination but I base some of their characteristics on people I have met or have interviewed. Okay, this is going to date me… When we lived in LA, we were friends with Leroy Smith. Now, it’s not likely you know who that is, but he used to be a pro basketball player in the European league. He told us he’d played ball with Michael Jordan in college and that they were very good friends. This was back when Michael was a household name. He told us about a time when Michael was just on the cusp of his fame; They were at a McDonalds and one of the workers said, “Are you Michael Jordan?” Michael replied, No, I’m Leroy Smith,” so he could get out of there easily. To be honest, we thought Leroy had embellished his story. Several weeks later, we were watching the Chicago Bulls playing on TV and during halftime, they played an interview with Michael and Leroy where Michael told the exact same story! Here’s Leroy’s Wikipedia page that tells a lot about their relatnonship: https://en.wikipedia.org/wiki/Harvest_Smith We had a good laugh with Roy the next time we saw him. I don’t have just one favorite, but a new-to-me author whose writing really draws me in is Dennis LeHane. I recently read his book, Moonlight Mile and couldn’t put it down. The book was set in Boston, a city I wanted to move to after high school (though I ended up in California). What really strikes me about his writing is the level of detail he brings into the setting without making me yawn and want to skip pages. Okay, there’s also the fact that his suspense gripped me by the throat and didn’t let go. No formulaic contrivances needed, just fresh story with interesting plot twists. A truly creative writer. I agree…I adore him!! If you haven’t read the entire Patrick Kenzie series, then you’re missing out. Check out A Drink Before the War, then keep reading from there. Trust me! 🙂 Thanks so much for joining us today, TR. TR’s question for readers: What keeps you in a story? WOW! I love your excerpt! Got my attention right away, left me wondering what happened. Gonna have to check out the book. Best of luck with Prey For Me! Thank you, Tena! I hope you’ll get a copy. I also have full chapter excerpts on my website. Sounds like a wonderful read. I’m adding it to my to-read list. It does sound like you lead an adventurous life and it’s influenced your story. I enjoyed the excerpt! Catchy title for your debut novel and a gritty excerpt. Best wishes for success and welcome to the writing world! Interesting interview and enjoyed the excerpt and blurb. Intriguing ! Best of luck. Looking forward to reading Prey For Me. What keeps me in a story is the discriptions and the characters actions I like to feel like I’m in the story with them. Swept away do as to speak. I like those elements as well. And I appreciate your response, as it helps me to connect with readers when I understand what keeps them engaged. Great excerpt and interview. Best of luck with your book! Great interview. Congrats on your debut novel. Best wishes.